Located in the Dhauladhar Mountains, Triund Hill attracts adventurers from around the world who come to conquer one of Dharamshala’s most popular treks. Starting from the colorful town of McLeod Ganj, the trail winds mostly uphill for just over 3.5 miles (6 kilometers) to the top of the hill (9,432 feet/2,875 meters), where hikers are rewarded with exhilarating panoramic views of the surrounding snowcapped peaks. While strenuous, the Triund Hill trek is doable for most people. Small chai shops are scattered along the path, providing plenty of places to stop, catch your breath and have some refreshments. Many trekkers choose to camp at the top of Triund Hill in order to enjoy an early morning sunrise before heading back into town. While the trail to the top of Triund Hill remains open for much of the year, the best time for trekking is March through May or September through December. One of the key highlights of this trek is that it takes you to 4,610 meters in just a few days. Moon Peak and Indrahar Pass lie in the Dhauladhar mountain ranges of Western Himalayas. 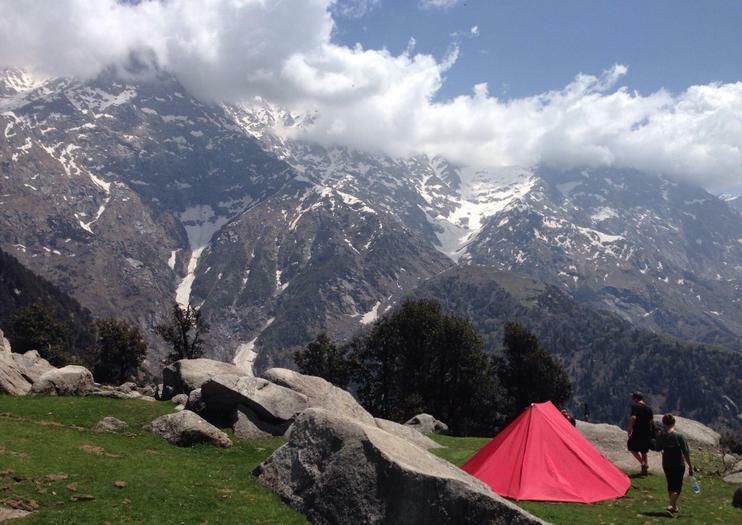 Lying in Himachal Pradesh, the range divides two districts of Chamba and Kangra (Dharamshala). This expedition begins from Mcleodganj, one of the most popular hill towns in the country and world-renowned for being the seat of Tibet government in exile. A trekker can club his adventure with a cultural tour of the town and also go shopping and food tasting here. Moon Peak climb is an expedition so the hosts keep their itinerary flexible so as to give their climbers the best chance to reach the summit as per the overall team's strength and capabilities.